Our Inspection Firm. Your Real Estate Success. Inspector Homes, LLC in Kettering, MD is an inspection firm that provides inspection services, along with electrical, HVAC, plumbing, and building automation services, in a commercial and residential context. We also provide energy efficiency assessments/audits. Our membership in InterNACHI serves as proof of our commitment to service excellence so make sure to turn to our home inspectors whenever you need inspection services. With over 30 years of experience, we are confident in what we do, but humble enough to discover new and more ways to better serve our clients. 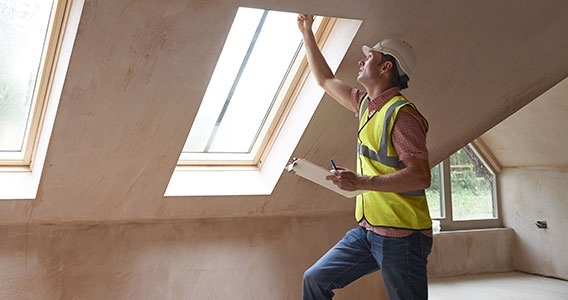 Inspector Homes, LLC has always been at the forefront of providing the most reliable inspection services to both residential and commercial clients in the area. We are an inspection firm that puts a premium on reliability, efficiency, and excellence—offering you high-quality inspection services that you deserve. If you’re searching for home inspectors you can trust, look no further than Inspector Homes, LLC. We’ll make sure to give you nothing but accurate inspection results. Inquire about our inspection services today. You may reach us by phone or email. We look forward to hearing from you soon!